Roberta Ann Luna, 77, of Hot Springs passed away Saturday, February 9, 2019 at St. Vincent CHI in Hot Springs. She was born September 2, 1941 in Little Rock, AR. to the late Robert Howard and Edna Mae O�Curran Dunn. Mrs. Luna was a member of First Baptist Church of Mt. Pine and had previously worked for Alliance Rubber, Oaklawn and Kentucky Downs, Linden St. Day Care, and Noah�s Ark Child Care. One granddaughter, Kimberly Hood also preceded her in death. 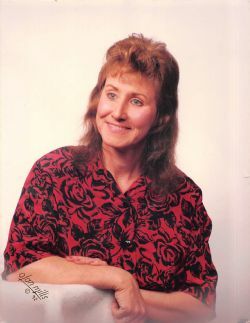 She is survived by two sons, Michael Hood and Greg and wife Sam Hood of Hot Springs; one sister, four grandchildren, Jessica Moore (Sean), Peyton Hood (Austin Price), Derick Hood (Heather), and Kevin Hood (Misty), four great grandchildren, Libby, Ellee, Ava, and Alex Hood and �Kid� her cat and �Sissy� her dog. A memorial service will be held at 3:00 p.m. Friday, February 15, 2019 at First Baptist Church, 101 5th Street, Mt. Pine, Arkansas. The service will be officiated by Bro. Darren Green. Click Play below to view the Video Memorial for Roberta Ann Luna. If you would like to order a DVD copy of the video, please contact the funeral home at 501-315-4047.